The mainframe computing system, known among its devotees as big iron, is talked about in much the same way as the mighty naval battleship: formidable, uniquely capable, the choice for when big things need doing. Yet the U.S. Navy pulled its last battleship out of the water 25 years ago. So why is the IBM z14 arriving in 2017, when we're well into the era of cloud computing and when sleek, nimble, distributed systems are the focus of so much attention? It wasn't by accident that enterprises around the world were willing to spend billions on mainframe systems. A mainframe environment, after all, pulls off tasks with an effectiveness -- and at a scale -- that is difficult for other technologies to match. To process billions of daily transactions and payments, big businesses needed big computing. And, to be sure, they still do. But do they need mainframes? IBM remains the dominant player in the modern mainframe market, and the company has no intention of letting the cloud supplant it as the power behind banking, e-commerce and other commercial endeavors. To make the case for relevance, IBM promises end-to-end encryption that should frustrate even the most determined data thieves. The z14 also includes new capabilities in speed, microservices and machine learning. It all sounds very 21st century. So will business embrace this modern mainframe? This handbook takes up that question, with TechTarget's Ed Scannell looking closely at an IT landscape that looks very different from when mainframes ruled the data center. It's enough to make you wonder if the future might start to look a bit like the past. It made its name in a long-ago era, but even in the time of virtualization and cloud computing, the mainframe hasn't disappeared yet. The IBM z14 aims to keep it that way. 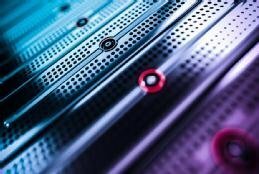 New IBM machine learning capabilities let data center teams pull insights from their z/OS mainframes. But concerns about data management and cost will likely arise. The latest update for the CICS mainframe program comes via Transaction Server 5.3, with a focus on increased agility, efficiency, and cloud and DevOps support. Many IT professionals consider mainframe computing to be a relic of an earlier IT age. But capabilities in the IBM z14 could challenge that conventional wisdom.